Crafted from beechwood, with a geometric shape, the Grid Serving Plank is perfect for serving up appetisers at your next dinner party. 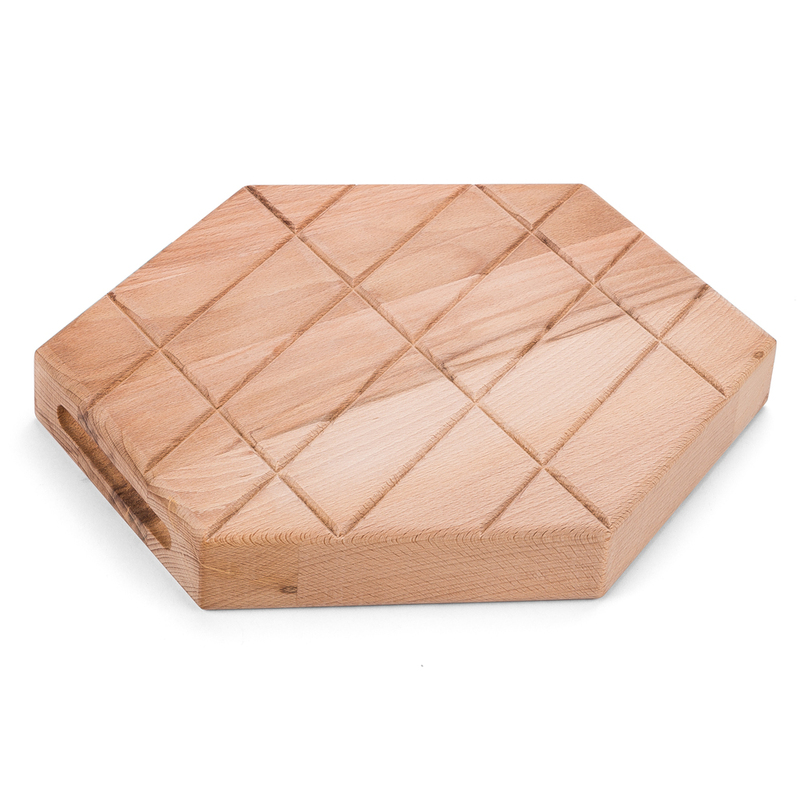 The grid side is ideal for chopping, while the smooth side is suitable for serving. Even when it's not in use, this serving plank will bring some contemporary flair to your home. Dimensions: 33cm (l) x 30cm (w) x 4cm (d).